Achieve your goals at the Premiere Pilates Studio in Northern Virginia. Goals are personal. So is our approach. We set every member up for success during our initial consultation. Discuss your health and fitness goals, physical abilities, limitations and experience. Talk schedule, commitment and budget. One of our professionals will conduct a movement evaluation, give you a mini workout and prescribe the best program for you. Review the schedule together, select optimal classes for your needs, set up your profile and you're off to a running start. Don't just jump into a class you don't know anything about - and more importantly - the teacher doesn't know anything about you! We take health and fitness personally, and so do our members. Our class sizes are intentionally small to watch every moving BODY and offer appropriate modifications throughout to suit each individual. REV has been nominated for Best Studio in Northern Virginia every year since its opening in 2015, plus featured in The Washington Diplomat. One more thing - REV Pilates Gym offers something other studios don't - guaranteed results. Θ Exclusive Memberships. 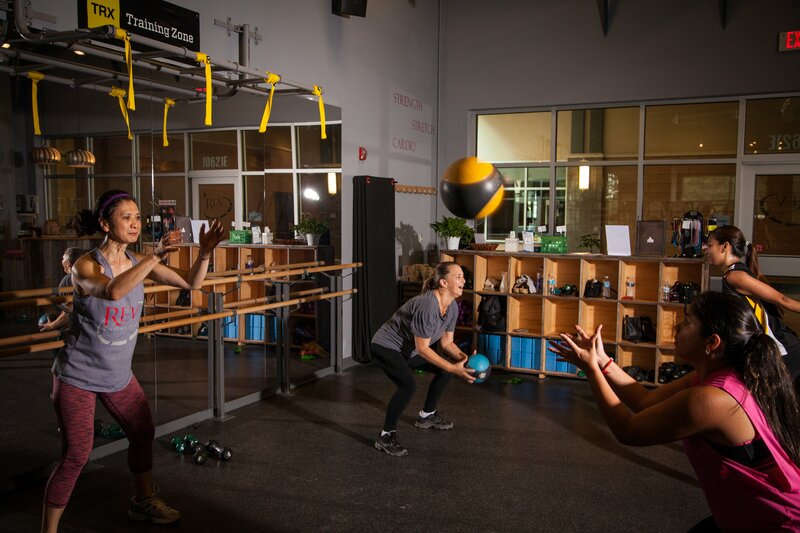 We are a members-only facility of like-minded fitness enthusiasts. We welcome newcomers via private consultations where we gather pertinent information relative to their health, goals and abilities. That information will help us custom create the optimal program for you! Θ More than Just Pilates. We conduct functional movement screens, postural analysis, movement assessments, nutritional diagnostics and more to provide our members with a well rounded approach to health. Θ Small Class Sizes. We purposefully limit our Pilates equipment classes to 6 so that we can safety monitor every student in every class. The sense of community it creates keeps you accountable as well. Θ Personalized Attention. Though we teach the full repertoire to our classes, we can easily modify any exercise to suit the individual. Whether you need assistance or challenge, we've got our eyes on you and can offer you what you need to get the most from every session. Θ Quality Instruction. We believe all great teachers are also students themselves, so behind the scenes, our teachers are constantly training and learning new things! REV is proud to host a variety of continuing education courses for trainers and students alike so we are all progressing - mind, body and spirit. Θ Money Back Guarantee. Yes, that's what we said. We believe so confidently that we can change your body and life that we are willing to put money on it. If you don't feel or look better in 3 months, we will give you your money back. At our studio, you will be encouraged to exceed your current abilities. 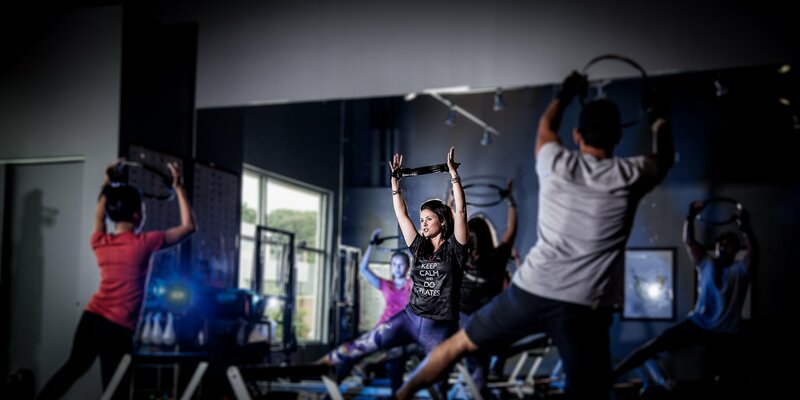 Through fitness, we will enable you to live your best life. We will encourage you, challenge you and guide you towards and beyond your goals. We are passionate about helping our members. We fully believe in developing a sense of empowerment and confidence in you. Our dedicated coaches are driven, embody vitality and are passionate about the power of Pilates, the sense of community it creates and maximizing potential - both for our members and ourselves! We practice what we preach! Our coaches are approachable and transparent. We have the same struggles as you and understand life's challenges. You’ll find our studio to feel like family - comfortable, inviting, non-judgmental and encouraging of you to be YOU. After clicking Get Started, you'll be taken to a page where you can fill out a little information about yourself. After doing so, you'll be prompted to select a time to speak with someone from our studio. During that call, we'll get a little information about you and tell you what to expect during a consultation so there are no surprises. All you need is 55 minutes and a pair of grippy socks. Exercise is something you never regret.